Once you land on the Client API Settings page, proceed to the File Automation section. The credentials for the file you are posting for PSS to retrieve. 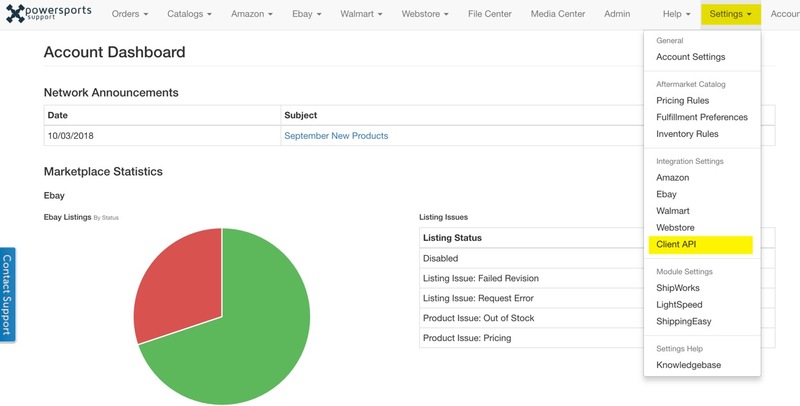 The URL of a self-hosted Shelf Inventory file PSS will retrieve on a daily basis. If "File Retrieval Protocol" is set to FTP this value should be a relative path to the file. 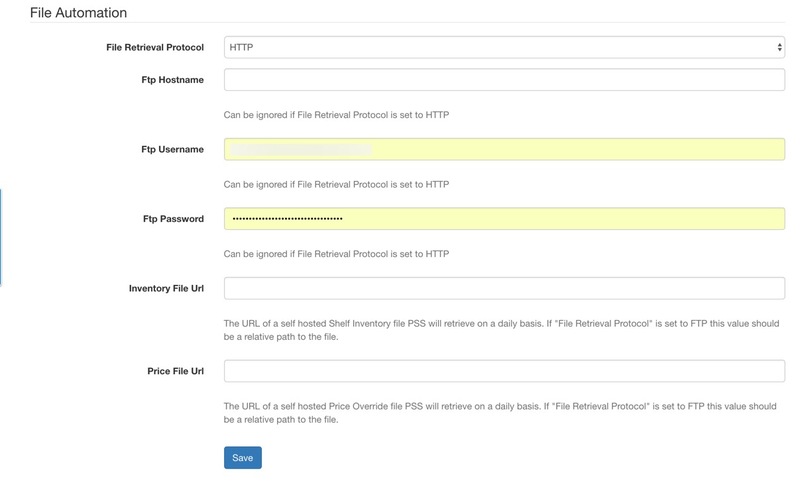 The URL of a self-hosted Price Override file PSS will retrieve on a daily basis. If "File Retrieval Protocol" is set to FTP this value should be a relative path to the file.